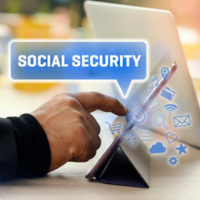 Supplemental Security Income (SSI) under the Social Security Administration is a resource for low income senior citizens aged 65 or older, as well as the blind or disabled. Additionally, children under the age of 18 can qualify for SSI benefits if they have certain physical or mental disabilities and the income of their family is below the required threshold. SSI benefits are often a life-saving resource for families with very disabled children up to the age of 18 (and sometimes up to the age of 22). The current maximum SSI benefits a disabled child can receive in Florida are $733 per month, according to Employ Florida. The SSA limits benefits to $30 per month for children who are living in a medical care facility that is covered by their insurance. Who Can Qualify for Child SSI Benefits? Supplemental Security Income benefits are crucial for thousands of Florida families with mentally or physically disabled children. Feel free to call one of our Social Security Administration attorneys today to discuss the possibility of procuring SSI benefits at 561-478-2447. The Celeste Law Firm of West Palm Beach is here to answer any questions you have concerning SSI and SSDI benefits for your family and yourself.